It is an old adage in the football world that has been popularized over time; if you lay any claim to be amongst the best in world football, either at present or through the ages, then you have to prove it on the greatest stage of all – the World Cup. Before the Champions League became the all-encompassing marketing machine for footballing talent that it is today, it was an adage that bore a weight of truth. It explains why Diego Maradona and Pele are regarded as the two outstanding individuals of the past, whilst Johann Cruyff, who came so close in 1974, and George Best, who never graced the stage, are considered to lag behind. It is a misnomer that continues to perpetuate today. TV pundits sit on their lavish sofas and pontificate that Lionel Messi will never contend with Maradona until he wins the World Cup on his own à la 1986. It is, frankly, an antiquated viewpoint that is unsustainable in the age of the Champions League where the world’s best are pitted alongside and against each other every year. Messi may not have proved pivotal to an Argentinian World Cup success – yet – but he has proved influential in two Champions League finals for his club, Barcelona. In the modern age, the competition is the barometer to measure the quality of a player, and to test whether his impact will endure past his shelf-life. As the 2012-13 Champions League season beings to embark upon the knock-out stages which continue to define its aura, it is the best players in the world who continue to shape its pattern. Last season, Didier Drogba hauled his Chelsea team-mates into the history books. So too Steven Gerrard, Kaka and Wesley Sneijder in recent years. Messi, for what it is worth, has done it twice. But it also marks the platform for the exposure of the burgeoning underbelly of talent in the world game. It is not only a treasure cove for young talents that have already gripped the consciousness of the footballing fraternity – Mario Götze and Marco Reus of Borussia Dortmund come to mind – but also those who have gained a new lease of life as they approach their peak years – for instance Jackson Martinez at FC Porto and Taison, newly of Shakhtar Donetsk. Following the fortunes of these up-and-coming talents will be an immersive sub-plot as the Champions League returns to our screens for the final strait of the season. And where better to start than Dortmund, who stormed through the ‘Group of Champions’ ahead of Manchester City, Ajax and Real Madrid. After finishing rock bottom of a group that contained Arsenal, Olympiakos and Marseille in 2011-12, their European renaissance this year has been majestic. In Götze and Reus they possess the cornerstone of the exhilarating future of German football, and their European exploits this season have only enhanced their growing reputations. The 20-year old Götze and 23-year old Reus plundered 5 of Dortmund’s 11 goals in the group stage, and though the Germans are well off the pace in this season’s Bundesliga, many have tipped them as dark horses for the Champions League – and rightly so given their virtuoso displays in Group D, and the plethora of further options available to manager Jürgen Klopp. But they have been pitted against another dark horse of the European game, in a match-up billed as ‘The Hipster’s Tie’. The Ukrainian champions Shakhtar Donetsk have earned widespread praise for their blend of homegrown and Brazilian talents, showcased by captivating performances previously against Chelsea and Juventus. How they will cope without the talismanic Willian will prove intriguing, but their acquisition of the 25-year old Taison points to forward planning. The Brazilian remains uncapped and unproven at Champions League level, but his accomplished performances in this season’s Europa League for Metalist Kharkiv, highlighted by a stunning volley against Rosenborg, suggest he is ready to make the step up. Taison is not the only Brazilian talent looking to impact on the destination of this year’s Champions League trophy; Lucas Moura is five years his junior, and arrives on the European stage to considerable fanfare. 23 caps for Brazil and a €45m price-tag illustrate the air of expectancy that surrounds the young Paris Saint-Germain prodigy. Given the presence of Ezequiel Lavezzi, Jeremy Menez and Javier Pastore, Moura’s status is likely to be reduced to a cameo role as he finds his feet at his new club. But the round of 16 has pitted PSG against an unremarkable Valencia side, and the Ligue 1 leaders look fully equipped to launch an assault on the latter stages of the competition. Lucas Moura will likely be called upon at some stage, as will the diminutive Italian midfielder Marco Verratti. The 20-year old fresh from scoring his first international goal for his country last week, has been making significant strides in PSG’s first team this season. Elsewhere on Tuesday night, Celtic’s improbable journey to the knock-out stages sees them face another illustrious European name; Juventus. 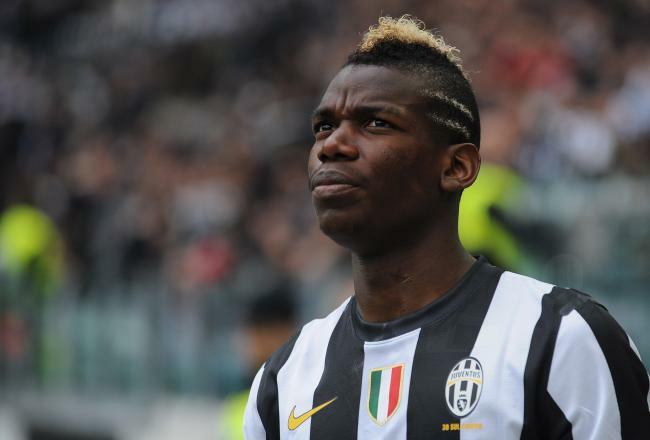 The Italian Champions sit atop Serie A again, and in amongst a star-studded homegrown midfield including Andrea Pirlo and Claudio Marchisio, young Frenchman Paul Pogba has proved increasingly influential. Two long-range pearlers against Udinese next month are testament to the power and skill that the 19-year old former Manchester United man possesses. As ‘The Old Lady’ look to reach their first Champions League final in 10 years, Pogba’s growing reputation will be put to the test. A combined haul of 12 European Cups will come face to face as Manchester United and Real Madrid lock horns for the first time in 10 years in the round of 16. Much has been made already of the battle between two goal-scoring extraordinaires; Cristiano Ronaldo and Robin van Persie. Elsewhere on the pitch, Tom Cleverley, now a regular at international level, will be making his long-awaited debut in the Champions League latter stages. For Real Madrid, 19-year old French defender Raphaël Varane is in line to add to his five appearances in the competition earlier this season. Whether Varane plays or not hinges on manager Jose Mourinho, but given his recent international call-up and a goal-scoring start against Barcelona in the Copa del Rey recently, the 19-year old will not be phased if called upon. The Premier League’s other representative in the Champions League knockout stages face last season’s inglorious runners-up, Bayern Munich. Central to Arsenal’s chances will be England international Jack Wilshere, whose display against Brazil last week has been lauded to the high heavens by the national press. Wilshere has not graced the Champions League knock-out stage since Arsenal’s 4-3 aggregate defeat to Barcelona in 2011, from which he emerged with much credit. The stage is set for the young Englishman, and his battle with the 24-year old Spaniard Javi Martinez, experiencing his first season of Champions League football will be an absorbing subplot. The Bundesliga leaders also possess a certain Xherdan Shaqiri, who has already experienced success against English opposition in this competition. The 21-year old’s two assists against Manchester United for former club FC Basle eliminated the three-time winners from the group stage of last season’s competition, but it is unlikely that the Swiss international will play such a central role this time given the numerous options available to Jupp Heynckes. Two other titans of European football go head to head as the world’s premier club-cup competition returns; the tournament favourites Barcelona and seven-time winners AC Milan. A resurgent Mario Balotelli is cup-tied, but young 20-year old Stepan El Shaarawy has excelled during a disappointing domestic campaign for Milan. The Italian forward has struck 18 goals already this season; a burgeoning talent to match his outlandish haircut, which has seen him become the fulcrum of their attack. One of this season’s surprise packages, Malaga, possess one of the most exciting talents emerging in Spanish football; Isco. It has been a real breakthrough season for the 20-year old, recently capped at full international level and rewarded for his consistent excellence with a a bumper new contract. The Champions League will be a poorer place without Malaga next year as the debutants have been a breath of fresh air in this season’s competition. Isco’s exceptional talent has heavily impacted upon their unlikely run this year; his influence will be crucial in the latter-stages, and will likely place him in the forefront of the summer shop-window. Their opponents, FC Porto, have developed a penchant in recent years for acquiring untapped South American talent – Radamel Falcao and Hulk to popular acclaim – and last summer was no exception. 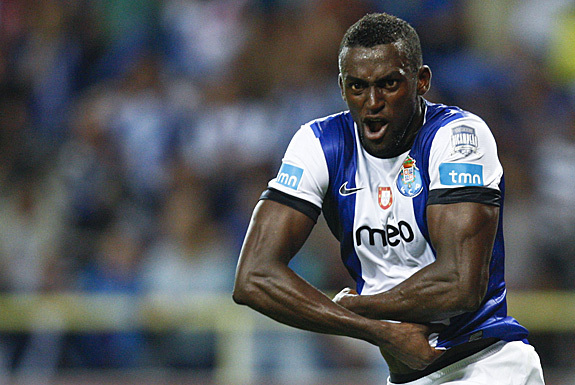 Since Colombian Jackson Martinez’s arrival in Portugal from his homeland he has struck 24 goals in 27 games – including three in the Champions League group stage – immediately filling the void left behind by Hulk’s departure to Zenit St. Petersburg. The avalanche of goals have belied his relatively late entry to Europe, he turned 26 last October. By contrast his countryman, James Rodriguez, crossed continents in 2010 and, now 21 and well into his third season at the club, is a key performer for the Portuguese Champions. The final tie of the second round will centre around Galatasary and their acquisition of two former Champions League winners in Didier Drogba and Wesley Sneijder. But their German opponents Schalke have impressed in this season’s competition, as opposed to domestically, most notably with a 2-0 victory at the Emirates in October. Central to their success has been 20-year old Greek international centre-back Kyriakos Papadopoulos and teenager Julian Draxler, another product of the German youth system. 19 years of age and capped internationally, the midfielder has already made 90 appearances for Schalke’s first team. Every one of the aforementioned names has one common denominator; they are largely unproven at this level of competition. All are at differing levels in their development, and whilst Jackson Martinez and Taison are, in footballing terms, seasoned performers, they are newcomers to this competition. Wilshere and Shaqiri have starred at this level before, but neither have surpassed the Last 16. 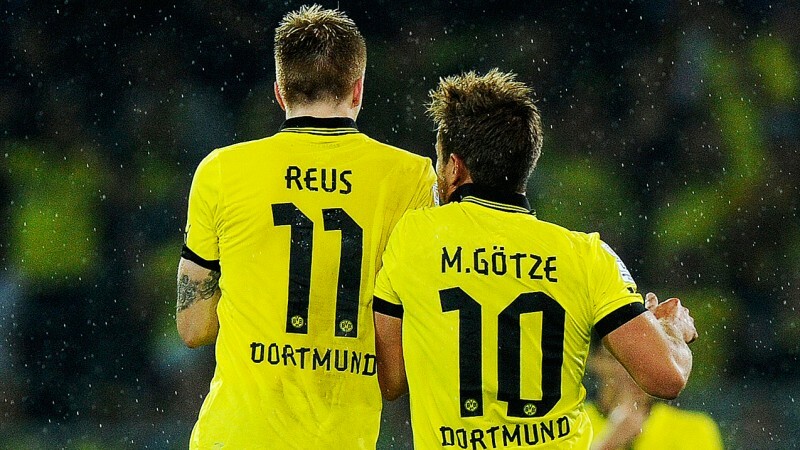 Götze and Reus have enjoyed exposure on the international stage over the last few seasons, but neither has proved themselves beyond the group stage of the Champions League. The World Cup used to be the platform for these exceptional talents, but each will play a role in the destination of this season’s European Cup, which has become home to an abundance of quality all over the world. This entry was posted in Previews and tagged ac milan, arsenal, bayern munich, borussia dortmund, champions league, drogba, el shaarawy, fc porto, galatasary, gotze, isco, jack wilshere, jackson martinez, james rodriguez, javi martinez, julian draller, juventus, lucas moura, malaga, man united, marco verratti, papadopoulos, paul pogba, psg, raphael varane, real madrid, reus, schalke, Shakhtar Donetsk, sneijder, taison, tom cleverley, xherdan shaqiri by James Dutton. Bookmark the permalink.